When I think of Islands, I think of endless fries and their Big Wave with cheese. I was fortunate to be invited by the Los Angeles PR firm, Murphy O'Brien, to a media dinner at the Islands in La Jolla to try new menu items before they are released to the public. I asked my friend and fellow foodie, Crystal, to attend in place of me. I now present to you, Crystal's guest blog post... ENJOY! Hello new friends, Crystal here! 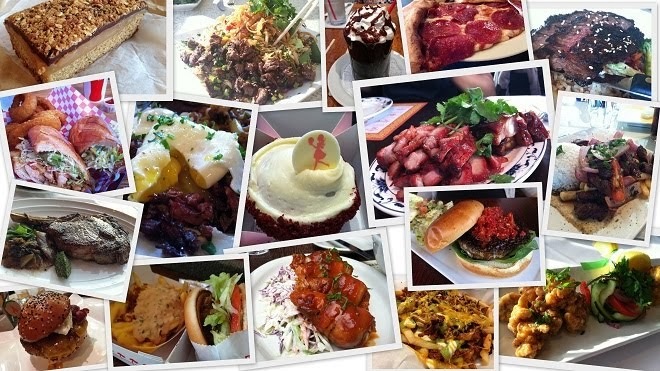 I am guest blogging for Janice and I hope you all are ready for a delicious post! 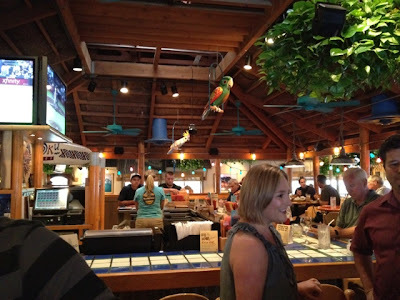 I have recently had the pleasure to attend Islands Restaurants Media Preview Dinner that took place at the La Jolla location. The purpose of this media dinner was to introduce new seasonal dishes and drinks by inviting local food bloggers/social media gurus for a taste run. I was given the lovely opportunity to go in place of Janice. I must admit that I ate enough for her and I both. I was loving the fact that the mai tai is only 149 calories! It is a great drink that will leave you feeling giddy in the summer breeze but will keep guilt out the door due to the low calorie count. 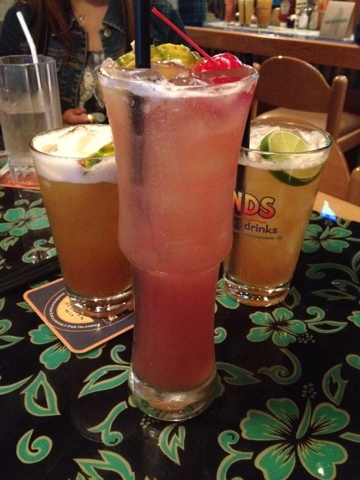 That mai tai is a sure winner in my book! 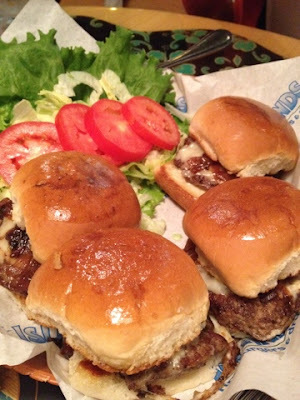 We had the Pointbreak Sliders as appetizers. 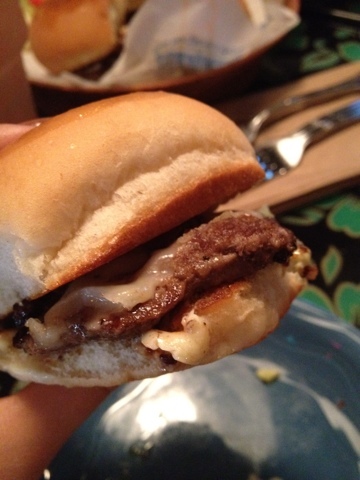 This simple slider was a culmination of the perfect flavors; concentrated and flavorful, with bursts of gruyere and bleu cheese, and bacon that has been rendered in balsamic vinegar and finished off with a port wine reduction. Tomatoes and lettuce were served on the side, and in my opinion, the taste of the burger was much more prominent without the veggies. After a round of drinks and sliders, we migrated to the dining area to get more comfortable. Entrees were up next, and although my tummy was already satisfied, I could not pass up the opportunity to taste their new figure-friendly dish, Chicken Beach Bowl. Being a health-conscious individual, I was curious to see how this new dish would taste. 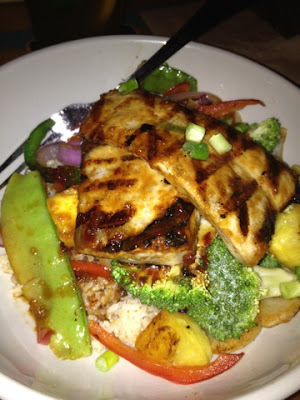 The Chicken Beach Bowl consisted of grilled chicken, topped with fresh grilled pineapple, sweet red bell peppers, crunchy snow peas, water chestnuts, red onion, broccoli and diced scallions in a hoisin sauce, served over fluffy brown rice. At only 576 calories, I was the least bit guilty as I stuffed my face with this delicious and healthy meal. We had a choice of either grilled chicken or mahi mahi with the Beach Bowl. Dessert time rolled around and I decided to go all the way. I am normally not a 'dessert kinda gal' but I started off strong and wanted to finish strong. What better way than to end it with a frothy, sweet, moussy chocolate sundae? 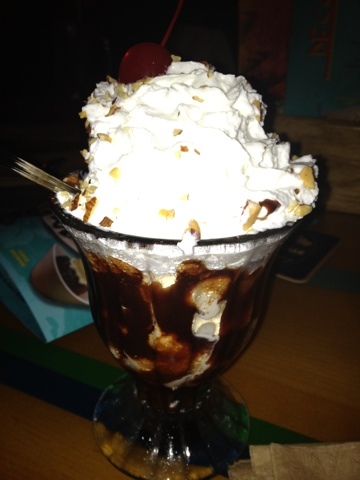 The sundae is not a new menu item, but it was a great way to end our dinner. I would to thank the La Jolla Islands location for hosting this wonderful event and introducing us to their new items. Also, thanks to Jenny and Maggie at Murphy O'Brien for planning the dinner on behalf of Islands Restaurants (and for the awesome goody bag!). 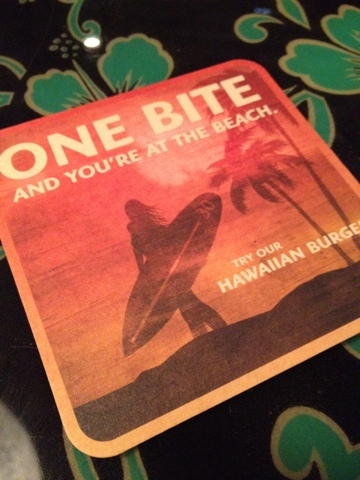 The new cocktails and the Beach Bowl should be available on the menus at your nearest Islands location. As a little tidbit to end my post, word on the street is that they will soon be catering to football fanatics once NFL season rolls around. Can’t wait to see what they’re going to cook up next!